Kit Barker is a Professor of Private Law and joined the TC Beirne School of Law in 2006. He was educated in law at Exeter College, Oxford, where he obtained first class honours in jurisprudence (in 1988) and subsequently completed the BCL (with distinction) in 1991. He was admitted to the Middle Temple Inn of Court as a Harmsworth Scholar and to the Bar of England and Wales in 1990. He is interested in private law as a whole, but his particular research interests lie in the law of torts and unjust enrichment law and the law's doctrine, philosophical foundations and remedies. 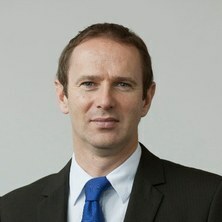 More recently, his work has explored the interface between private law and public law and public policy, with a focus on the negligence liability of government and legal (and extra-legal) responses to compensation in cases of grave historic injustice, including institutional sexual abuse. He is a former Associate Dean (Research) at the TC Beirne School of Law, regional editor for Australia of the Restitution Law Review and an assistant editor of the Torts Law Journal. He is co-author of three books to date - Unjust Enrichment (2nd ed, Sydney, Lexis Nexis, Butterworths, 2008 – 1st ed, 2008), The Law of Torts in Australia (5th ed, 2011, OUP) and Remedies: Commentary and Materials (Thomson, 2015). He is also editor and contributor to four essay collections: Private Law: Key Encounters with Public Law (Cambridge University Press, 2013), The Law of Misstatements (Hart Publishing, 2015); Private Law and Power (Hart Publishing, 2017) and Private Law in the Twenty-First Century (Hart Publishing, 2017). A fifth edited collection on Apportionment in Private Law (with Ross Grantham) will appear in 2018. He is the current director of the Australian Centre of Private Law at the TC Beirne School of Law. Bachelor of Civil Law, Oxfon. Barker, Kit (2017). Public power, discretion and the duty of care. In Kit Barker, Simone Degeling, Karen Fairweather and Ross B. Grantham (Ed. ), Private law and power (pp. 207-237) Oxford, United Kingdom: Hart. Book Chapter: What Is a Contractual Defence (and Does It Matter)? Barker, Kit (2017). What Is a Contractual Defence (and Does It Matter)?. In Dyson, A., Goudkamp, J. and WilmotSmith, F. (Ed. ), Defences in Contract (pp. 17-41) Portland, USA: Hart Publishing. Barker, Kit (2015). Negligent Misstatement in Australia - Resolving The Uncertain Legacy of Esanda. In Barker, Kit, Grantham, Ross and Swain, Warren (Ed. ), The Law of Misstatements: 50 Years on from Hedley Byrne v Heller 1st ed. (pp. 319-344) Oxford, United Kingdom: Hart Publishing. Journal Article: Damages without loss: can Hohfeld help? What Is a Contractual Defence (and Does It Matter)? Damages without loss: can Hohfeld help? Barker, Kit, Cane, Peter, Lunney, Mark and Trindade, Francis The law of torts in Australia 5th ed. Melbourne, Australia: Oxford University Press, 2012. Apportionment in Private Law: Nothing, All, or Something in Between? Barker, Kit (2018). Apportionment in Private Law: Nothing, All, or Something in Between?. In Kit Barker and Ross Grantham (Ed. ), Apportionment in Private Law (pp. 3-35) Oxford, United Kingdom : Hart Publishing. Barker, Kit (2017). Private law as a complex system: agendas for the twenty-first century. In K Barker and K Fairweather and R Grantham (Ed. ), Private law in the twenty-first century (pp. 3-28) Oxford, United Kingdom: Hart. Barker, Kit (2017). The dynamics of private law and power. In Kit Barker, Simone Degeling, Karen Fairweather and Ross B. Grantham (Ed. ), Private law and power (pp. 3-28) Oxford, United Kingdom: Hart. Barker, Kit (2015). Hedley Byrne v Heller: Issues for the Beginning of the Twenty First Century. In Kit Barker, Ross B. Grantham and Warren Swain (Ed. ), The Law of Misstatements: 50 Years on from Hedley Byrne v Heller (pp. 3-26) Oxford, United Kingdom: Hart Publishing. Barker, Kit (2015). Injunctions. In Kit Barker, Elise Bant, Simone Degeling and Normann Witzleb (Ed. ), Remedies: commentary and materials 6th ed. (pp. 1021-1136) Pyrmont, NSW, Australia: Thomson Reuters. Barker, Kit (2015). Specific relief - general principles and specific performance. In Kit Barker, Elise Bant, Simone Degeling and Normann Witzleb (Ed. ), Remedies: commentary and materials 6th ed. (pp. 909-1020) Pyrmont, NSW, Australia: Thomson Reuters. Barker, Kit, Bant, Elise, Degeling, Simone and Witzleb, Normann (2015). The nature of remedies. In Kit Barker, Elise Bant, Simone Degeling and Normann Witzleb (Ed. ), Remedies: commentary and materials 6th ed. (pp. 1-34) Pyrmont, NSW, Australia: Thomson Reuters. Barker, Kit (2013). Private and public: the mixed concept of vindication in torts and private law. In Stephen G. A. Pitel, Jason W. Neyers and Erika Chamberlain (Ed. ), Tort law: challenging orthodoxy (pp. 59-93) Oxford, United Kingdom: Hart Publishing. Barker, Kit (2012). Damages. In Kit Barker, Peter Cane, Mark Lunney and Francis Trinidade (Ed. ), The law of torts in Australia 5th ed. (pp. 692-750) South Melbourne, VIC, Australia: Oxford University Press. Barker, Kit (2012). Defamation and invasion of privacy. In Kit Barker, Peter Cane, Mark Lunney and Francis Trinidade (Ed. ), The Law of Torts in Australia 5th ed. (pp. 303-416) South Melbourne, VIC, Australia: Oxford University Press. Barker, Kit (2012). Interference with pure economic interests. In Kit Barker, Peter Cane, Mark Lunney and Francis Trinidade (Ed. ), The Law of Torts in Australia 5th ed. (pp. 227-302) South Melbourne, VIC, Australia: Oxford University Press. Barker, Kit (2012). Nuisance. In Kit Barker, Peter Cane, Mark Lunney and Francis Trinidade (Ed. ), The law of torts in Australia 5th ed. (pp. 183-227) South Melbourne, VIC, Australia: Oxford University Press. Barker, Kit (2011). Multiple tortfeasors: Liability and contribution. In Kit Barker, Peter Cane, Mark Lunney and Francis Trinidade (Ed. ), The law of torts in Australia 5th ed. (pp. 793-814) South Melbourne, VIC, Australia: Oxford University Press. Barker, Kit (2011). Relational economic loss - The search for rational limits. In Simone Degeling, James Edelman and James Goudcamp (Ed. ), Torts in commercial law (pp. 163-194) Rozelle, N.S.W., Australia: Thomson Reuters. Barker, Kit (2009). The nature of responsibility for gain: Gain, harm and keeping the lid on pandora's box. In R. Chambers, C. Mitchell and J. Penner (Ed. ), The Philosophical Foundations of the Law of Unjust Enrichment (pp. 146-180) Oxford: Oxford University Press. Barker, Kit (2008). Economic loss and the duty of care: A study in the exercise of legal justification. In C. Rickett (Ed. ), Justifying private law remedies (pp. 173-201) Oxford, United Kingdom: Hart Publishing. Barker, K. (2008). Responsibility for gain: Unjust factors or absence of legal ground? Starting points in unjust enrichment law. In Charles Rickett and Ross Grantham (Ed. ), Structure and justification in private law : Essays for Peter Birks (pp. 47-74) Oxford, United Kingdom: Hart Publishing. Barker, Christopher Douglas (2004). Understanding the Unjust Enrichment Principle in Private Law: A Study of the Concept and Its Reasons. In Jason W. Neyers, Mitchell McInnes and Stephen G.A. Pitel (Ed. ), Understanding Unjust Enrichment (pp. 79-110) Oxford: Hart Publishing. Kit Barker and L. Smith (2000). Unjust Enrichment. In Hayton (Ed. ), Law's Futures 1st ed. (pp. 411-432) Oxford: Hart Publishing. Kit Barker (1998). O'Brien, Notice and the Onus of Proof. In Rose (Ed. ), Restitution and Banking Law 1st ed. (pp. 78-88) Oxford: Clarendon Press. Barker, Kit and Walpole, Sam (2018) Restitution Law Review Annual Digest 2017. Restitution Law Review, 25 1: 85-121. Barker, Kit (2018) Modelling public and private enforcement: the rationality of hybridity. University of Queensland Law Journal, 37 1: 9-23. Bell-James, Justine and Barker, Kit (2016) Public authority liability for negligence in the Post-Ipp era: sceptical reflections on the 'policy defence'. Melbourne University Law Review, 40 1: 1-45. Barker, Kit and Walpole, Samuel (2016) Restitution Regional Digest - Australia 2016. Restitution Law Review, 24 185-211. Degeling, Simone and Barker, Kit (2015) Private law and grave historical injustice: the role of private law. Monash University Law Review, 41 2: 377-413. Barker, Kit and Tait, Harrison (2015) Restitution Regional Digest - Australia 2015. Restitution Law Review, 23 141-169. Barker, Kit (2014) Restitution Regional Digest - Australia 2014. Restitution Law Review, 22 128-154. Barker, Kit (2013) Restitution Regional Digest - Australia 2013. Restitution Law Review, 21 112-139. Barker, Kit (2012) Restitution Regional Digest - Australia 2012. Restitution Law Review, 20 140-164. Barker, Kit (2011) Restitution Regional Digest - Australia 2011. Restitution Law Review, 19 167-187. Barker, Kit (2010) Australia. Restitution Law Review, 18 95-117. Barker, Kit (2010) Restitution Regional Digest - Australia 2010. Restitution Law Review, 18 95-117. Barker, Kit (2009) Restitution Regional Digest - Australia. Restitution Law Review, 17 147-173. Barker, Kit (2009) Review of The law of rescission. Law Quarterly Review, 125 175-177. Barker, Kit (2008) Restitution Regional Digest - Australia 2008. Restitution Law Review, 16 1: 141-160. Barker, Kit (2007) Restitution Regional Digest - Australia. Restitution Law Review, 15 150-170. Theorising unjust enrichment : Being realist(ic)? Barker, Kit (2005) Unfamiliar waters: Negligent advocates, egregious errors and lost chances of acquittal. University of Queensland Law Journal, 24 2: 467-477. Barker, Kit (2004) Review of S. Degeling, Restitutionary Rights to Share in Damages (Cambridge, 2003). Law Quarterly Review, 120 351-354. Burrows, A., Barker, K. and Swadling, W. (2004) The new Birksian approach to unjust enrichment. Restitution Law Review, 12 260-265. Barker, K. (2003) Coping with failure: Re-appraising pre-contractual remuneration. Journal of Contract Law, 19 2: 105-133. Barker, Kit (2001) Review of P. Jaffey, The Nature and Scope of the Law of Restitution. Restitution Law Review, 232-239. Barker, Kit (1999) Bona fide purchase as a defence to unjust enrichment claims: a concise restatement. Restitution Law Review, 7 75-91. Barker, Kit (1999) Review of Burrows (ed) Understanding the Law of Obligation (Oxford, Hart, 1998). Journal of Professional Negligence, 15 198-203. Kit Barker (1998) Rescuing Remedialism in Unjust Enrichment Law: Why Remedies Are Right. Cambridge Law Journal, 57 301-327. Barker, Kit (1998) Review of Cane, P, Tort Law and Economic Interests (2nd Ed) (Oxford, Clarendon, 1996). Consumer law journal, 6 119-121. Barker, Kit (1998) Review of Torts in the Nineties. Modern Law Review, 61 4: 589-591. NHS contracting: repercussions in the law of tort? Barker, Kit (1994) Review of Chitty on Contracts (27th Ed). Restitution Law Review, 290-291. Barker, Kit (1993) Unreliable assumptions in the modern law of negligence. Law Quarterly Review, 109 3: 461-484. Barker, Kit (2018). The very modern value of Wesley Newcomb Hohfeld: a centennial appraisal. In: Singapore Symposium in Legal Theory 2018. Singapore Symposium in Legal Theory 2018, Singapore, Singapore, (). 5 February 2018. Barker, Kit (2017). Causation and loss of chance: a commentary. In: Current Legal Issues Seminar Series 2017. Causation and Loss of Opportunity, Brisbane, Australia, (). 27 July 2017. Barker, Kit (2016). Analytical Philosophy and Private Law: The Modern Value of Wesley Newcomb Hohfeld. In: A Discourse on the Legal Method: Historical and Philosophical Influences on Legal Thinking', Moscow, Russia, (). 22-25 June 2016. Barker, Kit (2016). Discretionary power and the law of negligence - public power, private duty. In: Visitor Seminar Series, Sheffield, United Kingdom, (). 5 July 2016. Barker, Kit and Jenny Steele (2014). Drifting Towards Proportionate Liability - Ethics and Pragmatics. In: Obligations VII, Hong Kong, (). 15th-18th July. Barker, Kit and Simone Degeling (2014). Grave Historical Injustice: The Role of the Common Law. In: Obligations VII, Hong Kong, (). 15th-18th July.